Is what you wanted, ha? Who, who is loving you? Is loving you? Tell me who, who is loving you? Is loving you? Ampliar Canción Who's Loving You? feat. Anastacia de Auryn . 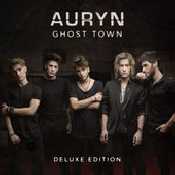 - Álbum "Ghost Town" del año (2015)	.